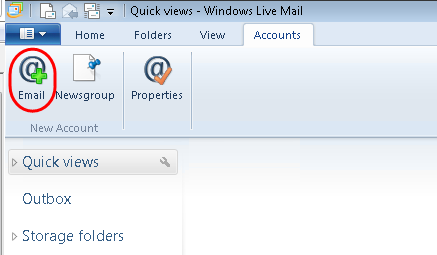 Open Windows Live Mail. Click the Accounts tab and select Email in the New Account section. Enter your full email address and mailbox password in the text boxes provided. In the Display Name text box, enter your name or company name. This is what most people will see in their inbox when they receive an email from you. 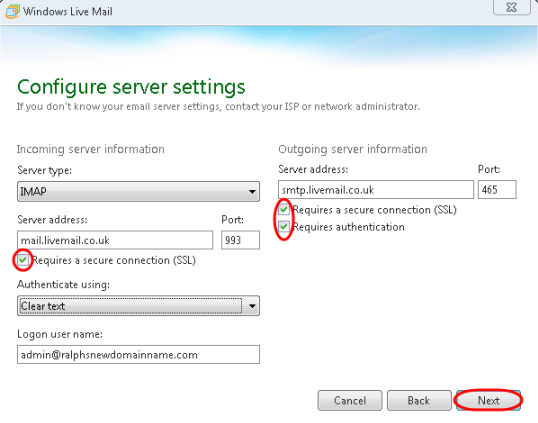 Select the box marked Manually configure server settings for e-mail account and click Next. Port: 993 for IMAP, 995 for POP. Requires a secure connection (SSL): Tick. Authenticate using: Select Clear text from the drop down menu. Logon user name: Enter the email address of your mailbox. Port: If you are using Fasthosts’ SMTP server then change this from 25 to 465. Check the details again. 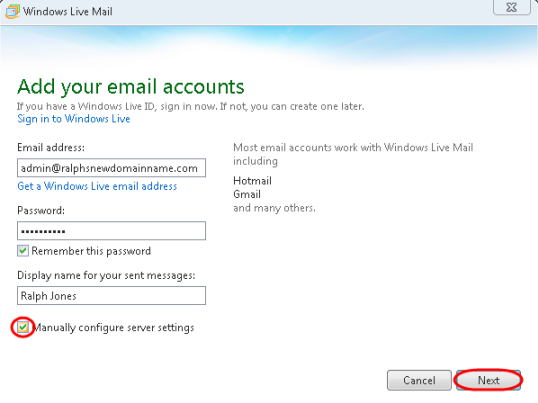 Click Next and Finish to set up your account and close the new account wizard.Windows Live Mail is now configured to send and receive email through your mailbox.